Feminine and truly unique! 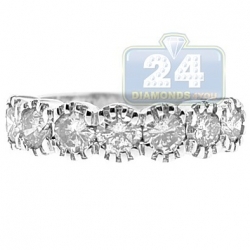 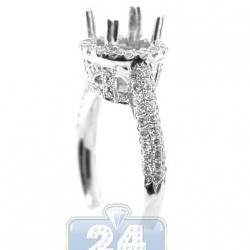 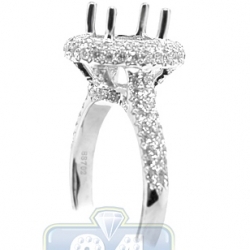 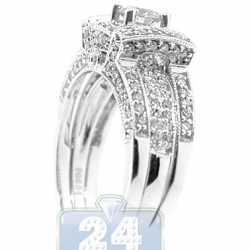 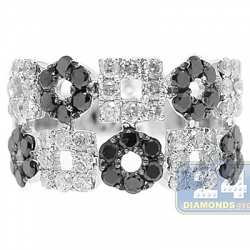 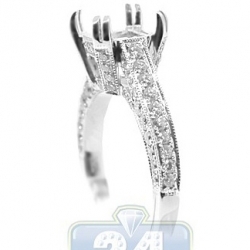 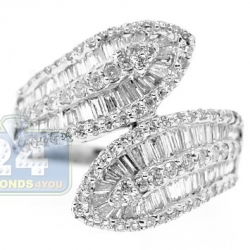 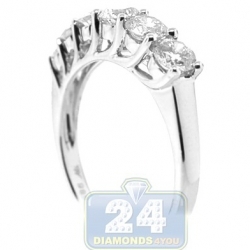 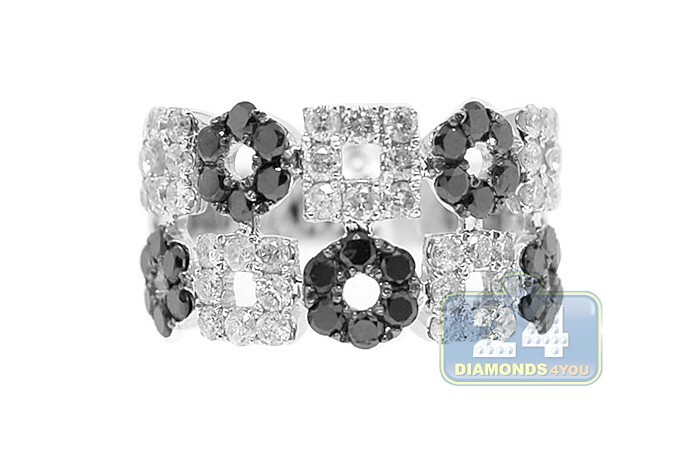 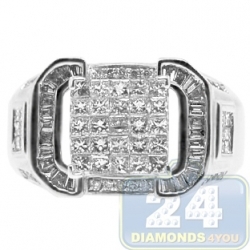 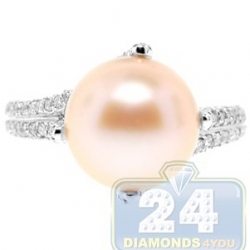 This two tone diamond band is an elegant approach to floral inspired design. 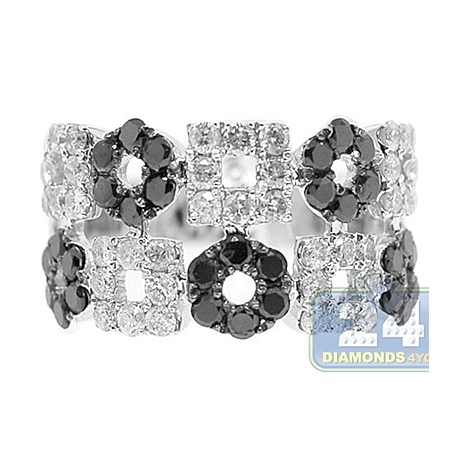 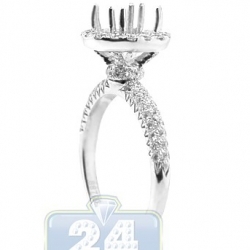 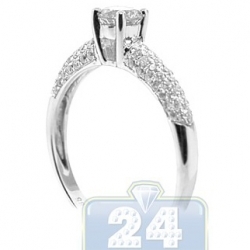 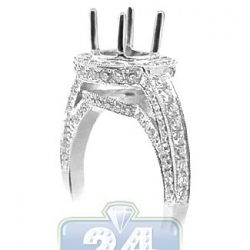 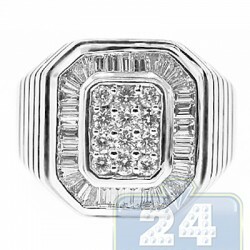 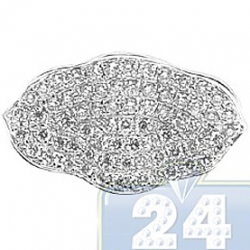 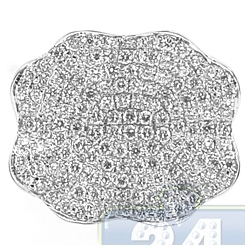 This ring is professionally handmade of cool 14k white gold with perfectly polished finish, and masterly encrusted with mixed black and white round cut brilliants totaling 1.88 carat. 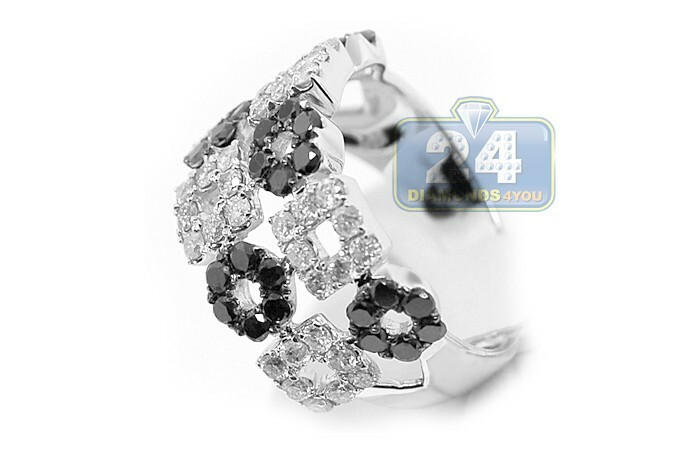 Give yourself a virtual garden of flowering delight with these precious flowers!